The Koch Empire: One can never write enough about these guys, but maybe some pictures will paint a thousand pages. Everything touched by the Koch Empire is tainted –because they truly believe that Democracy is for sale to the highest bidder – and they are correct. They are the highest bidder. “Your Congressman” – sold to the those men over there – your name please? – Yes Mr. Koch, you may collect your new laws, written for you, “buy” you tomorrow –when your congress passes it. In 2012 Coca-Cola announced it was ending its relationship with ALEC, and more than 60 major corporations followed suit. What suddenly created the exodus? Well, the catalyst was the legal murder of Trayvon Martin. The issue was the fact that it is evidently now legal for a White armed person to murder an unarmed Black child. The law(s) in question are the Stand Your Ground Laws raging across the nation, so beloved by Stupidparty disciples. Let’s face it. Zimmerman is quite a guy. The Trayon Martin consequence is just the tip of the iceberg when it come to the insidious activities of ALEC. The American Legislative Exchange Council is a 501(c)(3) organization of around 2000 conservative legislators nationwide. Tax exempt, nonprofit – yet very secretive. They refuse to disclose a membership list or how model bills originate, and their legislative members avoid admitting being influenced by the Council, or even being affiliated. 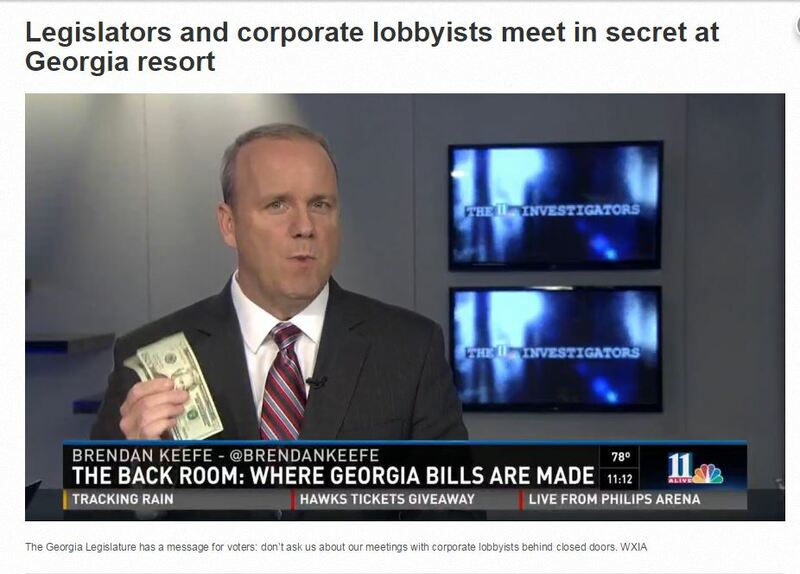 When an ALEC Accountability Act was proposed to force legislators to disclose their ALEC ties, the bill did not even receive a committee hearing. Legislative members suggest ALEC model bills in their states without disclosing authorship. Model bills are produced, and about 200 become law every year. It would be hard to overstate ALEC’s reach into important policy. ALEC is funded by groups such as the Charles Koch Foundation and other Koch groups, Exxon Mobil, and the Sciafe family. Only 2% of funding comes from the heavily subsidized (smell the corruption?) dues. As will be explained, these dues represent quite exceptional value. So when one begins to understand who is behind this organization, the sudden pangs of caught-in-the-act guilt felt by certain corporations will not be sufficient to quell this hydra-headed beast.